I’m suspending my usual post for the day to list these organizations through whom you can send help to the people of Haiti. The poorest nation in the western hemisphere, Haiti was hit by a major earthquake today and is poorly equipped to deal with this disaster. Most Haitians live on less than 2 dollars a day and only 20 percent have access to clean water. 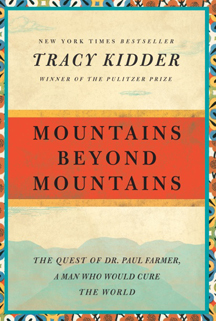 You can learn more about Haiti, and Dr. Paul Farmer’s lifelong work to change the destiny of its people through better healthcare, in the book Mountains Beyond Mountains by Tracy Kidder. Five New Year’s Resolutions for Your Brand Can Younger Staff and Members Add Value to Your Brand?